1) MILITARY QI GONG SHEN MEDITATIVE ENERGY! 2) CHEN & YANG STYLE TAIJIQUAN ! 3) ENERGETIC EXPLODING FORCE WORKOUT ! 4) SHAOLIN WARRIOR MONK POISON HANDS ! 5) SHAOLIN DRAGON, TIGER, CRANE, EAGLE, COBRA, & WHITE APE ! 6) SHAOLIN DRAGON SINGLE & DOUBLE DAGGERS ! 7) ASSASSINATION TACTICAL ASSAULT MANEUVERS (MILITARY EXCLUSIVE) ! 8) COBRA PRECISE TACTICAL KNIFE ASSAULT (MILITARY EXCLUSIVE) ! 9) ASSASSINATION TACTICAL ASSAULT ENERGY CONDITIONING MANEUVERS (MILITARY EXCLUSIVE) ! 10) XINGYIQUAN FIVE ELEMENT & TWELVE ANIMAL EXPLOSIVE FORCE SYSTEM (MILITARY EXCLUSIVE) ! LEGAL DISCLAIMER: PLEASE READ FIRST SAFETY IS OUR PRIMARY CONCERN; PLEASE RESPECT OUR WARNINGS AND GUIDELINES. Disclaimer is located at the very bottom of the descriptions. Assassination execution combat tactical assault energy conditioning maneuvers are lethal for level 1 and two professionals only. Executed on the battlefields and dangerous streets. Level 3 and 4 created for actors and civilians executes can escalate to lethal force. Rejuvenate the biological life force energy system by executing the 6000 year old Shen Psych Meditative QI Gong Pressurized Breading that ignites the transformation of the three secret treasure energies In the microcosmic orbit. QI Gong QI Meditative Energy Maneuvers have been created to allow mankind to execute immortality powers through supernatural energy sources that pulsate continually for 24 hours giving the practitioner a supreme longevity life. The benefits in each maneuver are astronomical as Harvard University Medical School’s research concluded is the greatest secret in medical history as the amount of disease it can cure and prevent our astonishing. Maneuvers can be performed in low to medium levels individually or repeated several times, according to the design of the maneuver. One hour daily is the minimum requirement, best is two hours together or separated by doing first half in the morning and second-half the evening. Each day our body deteriorates and over 40 years old twice as fast, overweight, drinking alcohol, smoking, and having negative emotions destroys life. QI Gong Makes living exciting, creates a young energetic brilliance appearance, allows you to live life at peak performance as the imagination takes you to worlds you never knew existed. Discover happiness as Shen Psych destroys negative emotions that attack your internal organs, eliminates psychoactive substance abuse, and psychological dependencies. Jing Vitality and Sexual Energy executes the strongest emotion love that kills all negative emotions, arouses sexual energies as performance goes incredible distances and beyond your wildest imagination as it is an art of love. Created from QI Gong the Ultimate Supreme that executes Shen Psych QI Gong Meditative Pressurize Breathing that generates the same energies in the long traditional energy routines. Taijiquan was created for the transformation of health and combat to interact. Military Systems were created by China’s Elite Generals over 6000 years of research proven effective on the battlefield. China’s secretive family clans dedicated their most powerful warrior to the Military presenting them secretive family treasures. Chen Style Taijiquan was created 2000 years ago and is the highest level of Military close quarter combat that can execute Chen QI Energy Exploding Force that destroys the enemy instantly. Yang Style Taijiquan was developed from Chen Style Taijiquan to express itself in generating energies in a different fashion structured more towards a meditative routine. Ultimate Military Tactical Combat Assault Energy Conditioning Exploding Force. Created from China’s Special Forces Assassination Maneuvers that executes exploding force continuously in China’s powerful Military Systems. An extraordinary Military Conditioning System designed for civilians that generates the transformation of the secret three Treasure Energies, Shen QI Gong QI Meditative pressurized breathing levels, and traditional animal systems routines that begins slow, advances to medium, and explodes to incredible speeds for extended times that the excels the mind and body to extraordinary astonishing levels. Combat tactical assault maneuvers attacks intelligently defending the vital areas as a ferocious tiger attacks with his forelimbs protecting his body then execute an explosion of force that destroys his prey instantly. Authentic Military Tactical Assault Combat Energy Conditioning is light-years beyond any defensive system. Xingyiquan Ferocious Tiger executes the instant assault attack to crush through the enemies defense as the King Cobra quickly executes control QI pressurized force in various strategic areas simultaneously that crush the enemy in an eight directional Baguazhang pattern rendering the enemy helpless. King Cobra attacks the jugular veins and carotid arteries placing the neck in a deadly position and inflicts a poisonous internal energy force that immediately attacks the brain and heart simultaneously then quickly enters meridian channels to destroy all the internal organs. Assassins can regulate venomous amounts by taking the enemy to a faint or escalating to cancellation. 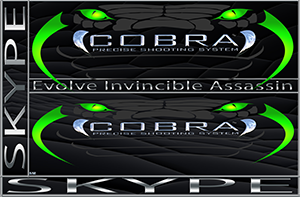 King Cobra Precise Poison Hands have had the greatest results with female law enforcement officers in Chicago in the C. P. R. S. defensive tactical system created by Grand Master Joseph Dodaro for the state of Illinois law enforcement agencies. As a Kane County Auxiliary Sheriff and defensive tactical instructor he worked closely with law enforcement agencies to construct a system for female as well as male officers to be effective and safe. Shaolin Dragon executes a low cross stepping assault that protects your vital areas consistently during the attack. Forearms stay in to protect the internal organs as pressurized controlled cuts prevent escape or counterattack. The dagger attacks in a small circular pattern controlling the area as arms then penetrating with a pressurized consistence slice that takes the enemy into a deadly submission preventing escape. The dagger’s pressurize control tactics can place the enemy in a submission position without any damage using the side of the blade and immediately switch over to inflict death. Dragon’s precise assault spirals like the snake to penetrate a vital area quickly to the next enemy. Dragon daggers are best executed in cross-leg and arm attacks camouflaging the assault at incredible speeds than mesmerizes the enemy like looking into the eyes of the Dragon. Assassins maneuver the blades in a cross grip that can lock the enemy between the blade and the assassins arm that is ingenious as the enemies blade, the assassins blaze, and his forearm simultaneously attack the enemy in his throat. Shaolin Dragon is a military close quarter combat assault weapon that advances quickly executing two daggers extraordinary speeds or one dagger and the deadly poison hand attack. Weapons function best if they are custom-made for you and the training we specifically designed for that weapon. It is vital to understand it is impossible to depend on a weapon as a firearm can jam or a dagger may not be drawn in time. Executing a blade follows the same assaults without it. General LI Yuanchih and Commander Hsu, Fun Yuen created a system that took 21 of China’s Special Forces Elite Soldiers and train them to become invincible Assassins with supernatural powers. They advanced in a stealth Panther formation through mountains camouflaged invading enemy camps canceling as many high-level officials and enemy as possible returning with minimum injuries. Assassins have the highest level training as Shen Psych powers the conscious and unconscious mind to execute the endocrine system that develops animal killer instinct and behavior through sensory and electronic neurons simultaneously pulsating QI enriched pressurized blood from the endocrine gland. These assassination maneuvers designed to develop 20 thrusting energy channels that creates the mind that ignites the imagination to generate the transformation of acupuncture energy fields and Dantians to function with the powerful force of the panther taking mankind to supernatural levels. Each animal style maneuver executes different energies that are vital to feel the spirit and killer instinct simultaneously with the magnitude of the environment. Assassins have the quickest reflexes as visual imagery excites the mind to look deep inside the body generating energy thrusting channels to feed the mind rich QI oxygen enriched blood and glucose function at maximum efficiency with supernatural powers. Cobra Precise Tactical Daggers are a Military Close Quarter Assault Combat weapons that executed in a professional maneuver generates incredible speeds attacking vital areas with a pressure controlled force slice with instant cancellation. Daggers are executed in the same fashion as the Cobra Precise exploding palms that once contact is made extreme pressure control prevents the enemy from counterattacking or escaping. The dagger quickly locks and controls in vital areas as the inner part of the joints with the vein and nerve impulses close to the surface as the artery functions slightly below the vein as the exploding palms simultaneously control and attack. Assault daggers can remain hidden as the enemy will never see it only feel it’s devastating force. King Cobra double sleeping daggers at amazing speeds that can take out several enemies quickly using an eight directional Baguazhang pattern that provides full protection to the assassin in the assault. it is vital to understand tactical assault maneuvers teach the assassin to generate speed quickly using the enemy to protect himself as he cancels him attacking the next enemy. These are military tactical assault maneuvers to develop mentally and physically to survive on the battlefield. Assassination training specializes in close order combat executing the assault with their deadly hands or daggers as they must become stealth and camouflaged to be in proximity. Assassination maneuvers develop extreme stamina and endurance conditioning that consistently creates new energies that keeps the mind calm and focused and can quickly maneuver the contractile muscles to attack in several different eight directional Baguazhang patterns that confuses the enemy. Extraordinary endurance generates the assassin to feel supernatural energies rushing through is Meridian system igniting QI thrusting channels creating interior and exterior explosion of forces to protect him during the assault. This requires Shen Psych conscious and unconscious minds to stay at a heightened level consistently. Assassin’s bodies must withstand the most brutal force during the assault avoiding any injury. Assassination maneuvers reconstruct the entire biological life force system to function at maximum energy force minimum energy loss. Assassins executes Chen QI energy maximum force simultaneously with the entire body meaning that legs function for superior strength it executes the wasted opposite direction for force. The shoulders executes the elbow forearms and then palms igniting centrifugal force as the assault is only inches away from the enemy. Xingyiquan Five Element assault maneuvers are considering punishing drills by China’s Special Forces as the excruciating pain becomes unbearable at times. Designed after the Ferocious Tiger, assassins executed a static anaerobic isometric strength resistance extremely low stance with 70% of the weight on the back leg for 1 to 2 minutes that develops the slow twitch muscle to extraordinary levels preventing it from fatiguing. Explode forward developing the fast twitch muscles in a strength resistance aerobic isotonic low stance. Xingyiquan Develops lower extremities by placing tremendous pressurized force mentally and physically simultaneously as the assassin will force himself to sink lower. The upper extremities execute pressurized force mentally and physically through weight resistance by keeping them erect the entire time. Shen Psych pressurized breathing opens the 20 thrusting meridian channels the transformation the three treasure energies. Xingyiquan Generates tremendous amount of force that explodes immediately in the crushing through the enemies defensive system devastating the skeleton system destroying the internal organs. Xingyiquan Executes 12 animal styles independently or simultaneously transforming combinations as Tiger and Cobra that is an advantage to confuse the enemy. This is a complex system that has unlimited amount of animal maneuvers that directly condition the assassin to move with supernatural powers. Tongbeiquan was created over two thousand years ago from the white ape, orangutang and gorilla that is closest related to mankind. Tongbeiquan tactical assault maneuvers develop the fastest speed from the entire body with supernatural devastating force that is designed to destroy with one blow at close quarter combat. Grand Master Joseph Dodaro was famous for performing Tongbeiquan in Chicago to the Chinese community at Commander Hsu’s demonstrations. Chinese Masters would tell the commander Joseph is so powerful he can kill me with one blow. Tongbeiquan Weapon forms are executed with the same force as empty-handed that shocks people who witness or feel this extraordinary force. Tongbeiquan in the fashion of a gorilla strike each other in two person punishment drills the practitioners strike with forearms to forearms executing internal Chen QI Exploding Force to build resistance and withstand the most powerful blows. Assassins strike themselves extraordinary hard with a powerful force eliminating vital areas like the throat in maneuvers to build resistance and withstand the most excruciating blows. Assassination assault maneuvers execute extreme force at incredible speeds to develop unbelievable stamina and endurance for a minimum of one hour. Xingyiquan and Tongbeiquan are designated as military close quarter combat as training is several hours per day. Tongbeiquan is Commander Hsu’s secret weapon he handed down to Grand Master Joseph Dodaro who treasures the system. The military system was never released to any students or agency and is now ready for the United States Government Agencies and Military. is not limited to injuries or damages sustained by a third party that is not a party to nor knowledgeable of this agreement. assault, conditioning, and maneuvers in these books, streaming videos, DVDs, CDs, websites, promotional materials, documentaries, movies, and pamphlets by Prof.
and pamphlets by Prof. Joseph Dodaro and Fire Dragon Energetic Exploding Force Inc.
studying, training, demonstrating, using, participating or engaging in the techniques, combat, conditioning, and maneuvers presented, participating or engaging in the techniques presented. Prof. Joseph Dodaro demanding that only professionals train in this lethal system. Severe injuries can occur in training, do not alter these maneuvers in any way.